Between 1965and 1968 Indonesia entered a violent and tumultuous time. On 30 September 1965 a group of army conspirators gathered in Jakarta with the aim of kidnapping and killing seven army generals, one, Abdul Nasution, was to escape with the other six being killed. On 1 October the 30 September Movement announced it has seized political power with General Suharto (commander of the army’s strategic reserve), personally taking power. These events led to the “Partai Komunis Indonesia” (‘PKI’) or Indonesian Communist Party being blamed by the army leadership as a plot to seize power in their own right, and as a result the army embarked on a mission to purge or cleanse the country of the perceived communist threat. Within a month massive slaughters of alleged communists took place, with some estimates putting the number dead at over 1,000,000. Under military pressure Indonesia’s First President Sukarno, was forced to delegate extensive powers to Suharto, and not the army’s chief of staff, as a result Suharto banned the PKI, had Indonesia legislature changed to install him a acting president and forcing Sukarno into house arrest, where he died in 1970. The events of 30 September 1965 did not simply result in a “purging exercise” of the communists, with remaining family members, exiled supporters or sympathisers of the PKI being denied basic human rights, such as equal opportunity to employment, the right to travel to/from Indonesia, and discrimination. These events continued for the thirty years of power under President Suharto. 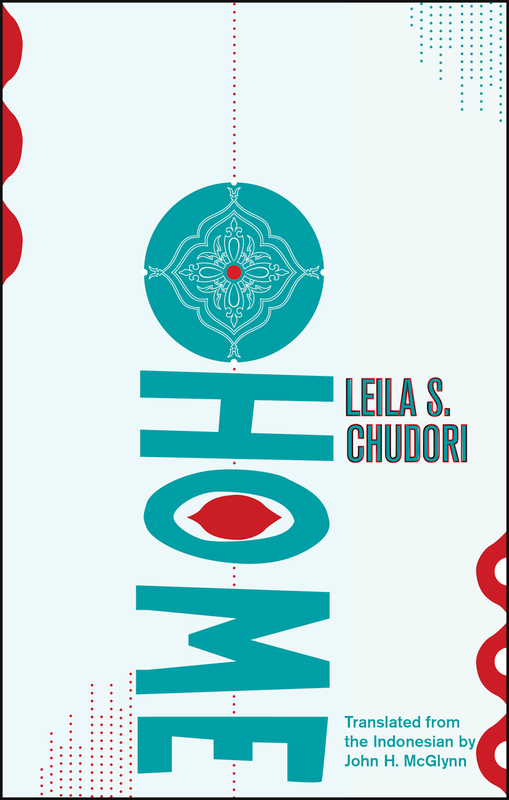 This is where books like Leila S. Chudori’s “Home” (translated by John H. McGlynn) play a pivotal role in bringing these events to light, even if in a fictional setting. Whilst highlighted in a previous blog post, Eka Kurniawan’s “Beauty Is A Wound” deals with the events during Suharto’s reign (and even prior with Dutch rule and the Japanese invasion in World War Two also featured) the style was mythical, drawing on shadow puppet and pulp culture. “Home” has no such edge, written in a journalistic style and focusing purely on the devastating impacts of the 30 September event and subsequent banning of the PKI, the history books have been fictionalised. A decent sized book (my preview proof edition runs to 514 pages), there is a plethora of characters and content throughout this family epic. Our work opens with a prologue, a setting in a photographic studio, is there clandestine activities taking place? Every day, at least ten to fifteen people came to have passport-size photographs taken to attach to government-issued letters of certification that they were not a communist, had never participated in any activity sponsored by the Indonesian Communist Party, and had not been involved in the so-called attempt to overthrow the Indonesian government now known as Gestapu, the September 30 Movement. Since the beginning of the year anyone who was thought to have been a member of the PKI – or had family and friends, or colleagues and neighbours, in the Indonesian Communist Party – had been hunted down, detained, and interrogated. My brother Aji had frightening stories to tell about how many people had disappeared and how many more had died. They wouldn’t have heard the names of Indonesia’s political activists who long predated theirs – such as Sukarno, Hatta, Sjahrir, and Tan Malaka. Given that, what could they possibly know about the bloodbath that had taken place in Indonesia in the months and years that followed the events of September 30, 1965? Most of the people I had met, Vivienne included, would probably had had to open an atlas just to find where Indonesia was. Life as a political exile would not have been complete without a steady stream of trials: having our passports revoked; being forced to move from one country and from one city to another; having to change professions; even having to change families – all with no obvious design of definite plan. All these things were happening while we were in the midst of a search for our identity, shapeless souls searching for a body to inhabit. The annoyances we faced – or the “challenges” as Mas Nug preferred to call them – were never-ending. For that reason, and despite the successful opening of the restaurant and the popularity of Tanah Air in the days and nights to come, we knew that our celebration would propel an opposing force. Our novel is told in may voices, first person, third person, father, daughter, wife, lover. Shifting in time, starting in Paris in 1968 and returning to Jakarta in 1964. The plot is not linear, although the slow filling of events that lead us to a conclusive whole are not at all distracting, neither are the multiple voices throughout, although the similar style for each voice is somewhat less than convincing. A flâneur will forever be looking, and building his home in the flow and motion of movement. He might feel he has left his home, but in fact he built a home in his journey. With the Frankfurt Book Fair (self proclaimed as the largest in the world) featuring Indonesia as the Country of choice next month it is timely to look at books such as “Home”. Although the selection of Indonesia and the writers represented at the Fair has been plagued with controversy, a number of writers have taken to social media to express their displeasure at the less than transparent selection process for the books to be presented in Frankfurt, Personally I feel novels like “Home” have a place on the world literature stage, bringing the history of the Suharto period of reign to light. My earlier references to “Shadow puppet” theatre and the influences on Eka Kurniawan’s “Beauty Is A Wound” are also at play here, with our exiled father Dimas displaying his favourite puppets in his home and telling his daughter the mythical tales of anti-heroes and warriors. The Indonesia culture and the nostalgia for a return to the homeland, however stricken, is always playing throughout. How very off it was, I thought, that when I was such a young age, my father had introduced me to the concept of death through stories from the Mahabharata: about Bhisma, who chose his time of death; about Bima, who was forced to agree to Krisna’s plan to sacrifice Gatotkaca as bait to Karna in the duel against Arjuna; and about Ekalaya, the best bowman in the universe, who had even once defeated Arjuna. But in those stories, Ayah also inserted his own hopes, whose tone was that of a person’s final wishes. “Like Bhisma, I too would like to choose the place where I take my final rest,” he said half to himself. Review copy courtesy of Deep Vellum Books. In October, Indonesia will be the guest of honour at the Frankfurt Book Fair, the largest annual book publishing event in the world. 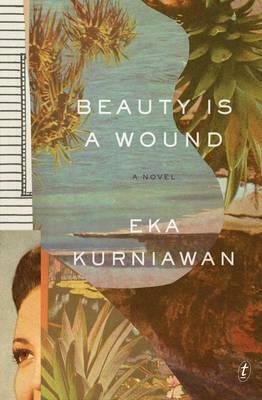 Earlier in August I received an advance copy of Eka Kurniawan’s “Beauty Is A Wound” and then, late in the month, Kurniawan was a guest at the Melbourne Writer’s Festival in a “conversation” presentation. Given Indonesia is one of our nearest neighbours (I’m in the South of Australia), and my exposure to their literature has totalled ZERO, I think it is probably about time I started to address this imbalance. We then travel back in time to Dewi Ayu’s youth, her marriage to an old mad man, being taken prisoner by the Japanese as part of their invasion of Indonesia and then being forced into prostitution. This novel (by having Dewi Ayu coming back from the dead) managed to cover eighty or so years of Indonesian history. A work that is 470 pages in length (the Australian edition runs to nearly 500 pages) there is a lot of territory to cover. This is done by running multiple stories, all linked to Dewi Ayu in some way. We have Maman Gendeng, an indestructible criminal, who lands in Halimunda (where our story is set) in search of a legendary princess only to find that the story was 200 years old, as a result he proposes to the prostitute Dewi Ayu instead. We also have Shodancho a guerrilla revered by the community, a rival of sorts to Maman Gendeng, who becomes the leader of the military and is in love with one of Dewi Ayu’s daughters. And we have Comrade Kliwon, naturally a communist, who is a womaniser but also in love with the same daughter of Dewi Ayu. The novel feels as though it is a collection of stand-alone stories, but the intertwining of characters and the passage of time as well as Dewi Ayu being the spine of the stories gives the novel multiple linkages. Drawing on Indonesian folklore there are people who fly, rebirths, and ghosts a plenty, all of this with the backdrop of extreme violence, including sexual violence. But each of the extreme situations are either balanced with humour or with the level headedness of one of the female characters. The fact was, most people of Kalamunda were superstitious. They still believed the demons, spooks, and all kinds of supernatural beings ran wild in the cemetery, living among the spirits of the dead. And they also believed that the gravedigger lived in close communion with all of these supernatural beings. Aware of his difficult situation, Kamino had never even tried proposing to anyone. His only interactions with other people happened in the course of his business. He usually just stayed at home, a humid house made out of moldy old concrete shaded by big banyan trees. The sole entertainment in his lonely life was playing jailangkun – calling the spirits of the dead using a little effigy doll – another skill that had been passed down through the generations of his family, good for invoking the spirits to chat with them about all kinds of things. This book is littered with little amusing anecdotes – as an example the village of Halimunda celebrates Independence Day on a different date that the rest of Indonesia, this is a result of the news travelling slowly to the village. I’ll leave the linear (or more circular) plot quite bare for you to enjoy the novel yourself, however this work does cover sweeping epic times in Indonesian history, the invasion by the Japanese, the slaughter of thousands of communists, living under Suharto’s dictatorship, military rule and these events are all covered here. With the three husbands of the three daughters representing military, communism and criminals, the power struggles are obvious to see, as an aside the police are ineffectual. A great introduction to Indonesian literature and the melding of humour, extreme events, folklore and reality is done with a nice balance. During Eka Kurniawan’s appearance at the Melbourne Writer’s Festival he discussed a number of subjects, the ones I thought more relevant I’ll paraphrase here (he did answer questions in English however at times he did struggle to find the correct word). As a university student, studying philosophy, he found he was spending more time in the library reading English translations of famous works. Upon reading Knut Hamsun’s “Hunger” he suddenly decided that he wanted to be a writer. The two major influences of “Beauty Is A Wound” are “dalang” masters performing “wayang”, Indonesian shadow puppet theatre. Stories containing heroics, humour and philosophy, as well as commenting on current affairs. Learning this after reading the novel, was a revelation, a better understanding of the work instead of the line I’ve seen trotted out a few times “magic realism” a la Gabriel Garcia-Marquez. The second influence, as revealed by Kurniawan, is Cervantes, the book’s epigraph from Don Quixote. Kurniawan revealed the idea of imagination is the guiding influence here. Besides mentioning Cervantes, he also spoke of Milan Kundera’s reference to delivering a serious message with a tone of “lightness”, a feature that is evident throughout the novel. Instead of reeling from every horrific story you are somehow drawn to reading the next page. The actual work itself is “three or four” novels mixed and combined into one to become our final work, and at times, as the stories seem to exist independently, this is quite obvious. Although the spine of Dewi Ayu throughout does link them in some way. Interestingly Kurniawan explained that the character of Dewi Ayu was the last character he formed. The criminal character of Maman Gendeng is the anti-hero that Kurniawan felt the most sympathy for when creating him, this, again, I could feel, although a criminal and indestructible his honesty to his word is refreshing, and even though he marries a twelve year old his loyalty and honour of this young girl is very different from the military character of Shodancho a brutal evil man. I’m glad I delved into the world of Indonesian writing and there are a few other works now on my radar. Review copy courtesy of New Directions.